Keep an eye on foot hygiene. “Mix up your shoes every day – don’t wear the same shoes two days running that ‘s the biggest thing for guys,” she says. It’s the best way to air out the shoes and avoid any lingering foot hygiene issues. It also gives the shoe a chance to recover as well as the feet. 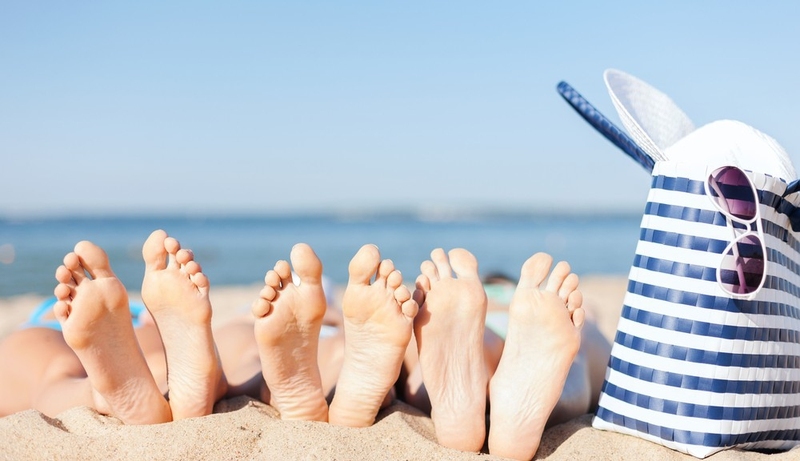 Start a regular routine for looking after your feet throughout the year, not just in the summer. The Margaret Dabbs Anti-fungal foot cream is a good way to combat the kind of redness and trauma marks common in men’s feet. “While a conventional moisturizer sits on the skin this cream actually feeds the skin cells.” And features Emu Oil, obvs. Use a foot file once a week on dry skin. Margaret Dabbs are one of the few to perform dry skin scrubs in their pedicures and even sell a pro tool which allows you to do this easily at home.